What's wrong with trying to be perfect? 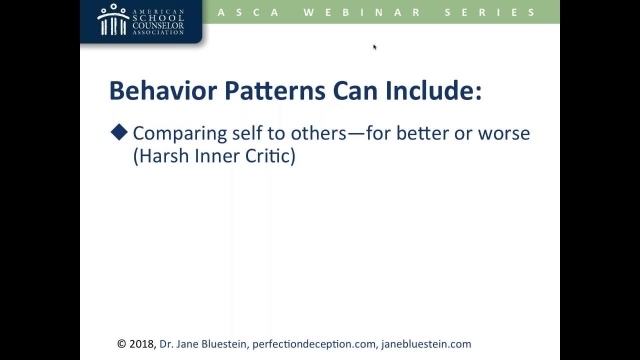 Examine factors that can influence the development of perfectionism, and look at ways to support students with perfectionistic tendencies. Help students minimize the damage it can do. Download accompanying handout. Distinguish between striving for excellence and striving for perfection, and examine ways in which perfectionism affects our students. Discuss specific patterns in adult relationships that encourage the pursuit of perfection and sense of conditional self-worth. Identify strategies for supporting young people with perfectionistic tendencies.